Seeing Imagine Dragons live was truly surreal. It was such an out-of-body experience that left me speechless for a good while after. The rock quartet hailing from Las Vegas, Nevada played their first ever gig here at the Singapore Indoor Stadium and they definitely did not disappoint! Kicking off the night with a bang, the band entered the stage with their latest single ‘Shots;, setting the tone and mood for what was to come. It was such a treat watching these guys in their element and owning the stage as they made sure that we, the fans, had a good time. While the performance holds centre stage at a concert, I personally felt that the imagery projected on the LED screens and the strobe lights certainly contributed to the whole experience as well. Everything was really well executed and that brought it all to a whole other level. 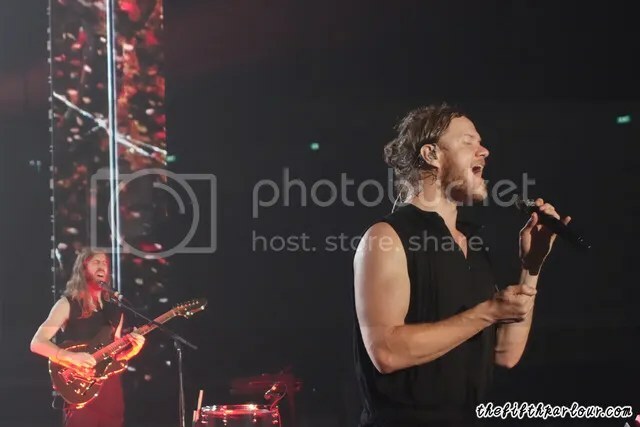 Taking a break from their tunes, lead singer Dan Reynolds took a moment to cover the song ‘Forever Young’ made popular by Alphaville, much to the delight of the crowd who sang along in unison before the band transitioned into ‘On Top Of The World’, off their debut album ‘Night Visions’. 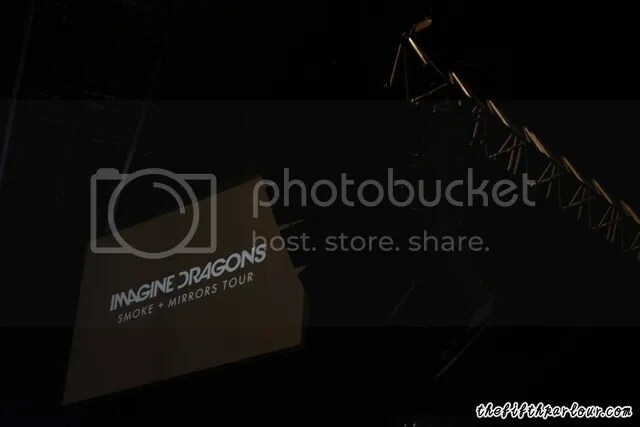 Everyone went wild when popular tracks such as ‘It’s Time’, ‘Radioactive’ and ‘Demons’ were played, fist pumping and singing on the top of their lungs, many pulling out their phones to capture the moment. It was truly a night jam packed with great music and great energy – the type of concert that leaves you wanting more even as the band takes their final bow.